On Saturday May 7, 2016 AssistantMajority Leader Kimberly A. Lightford and the 4th District Gentlemen’s Committee hosted the 5th Annual “We Adore Our Women” Mammograms for Mother’s Day Event. Accompanying the Senator and the committee were doctors and nurses from Loyola and Loretto Hospitals. 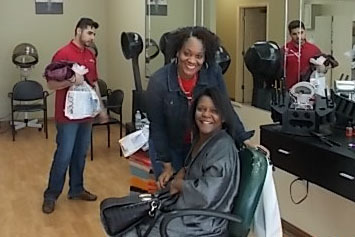 While visiting salons, the medical staff were able to educate the community on early detection, risk and treatment.In addition to providing information, over 240 gift bags with Breast Cancer Awareness information and goodies were distributed. Senator Lightford enjoyed an awesome day with the 4th District community. In hosting this annual event, she hopes to continue to bring light to Breast Cancer in an effort to decrease the death rate and increase awareness to the importance of early detection. 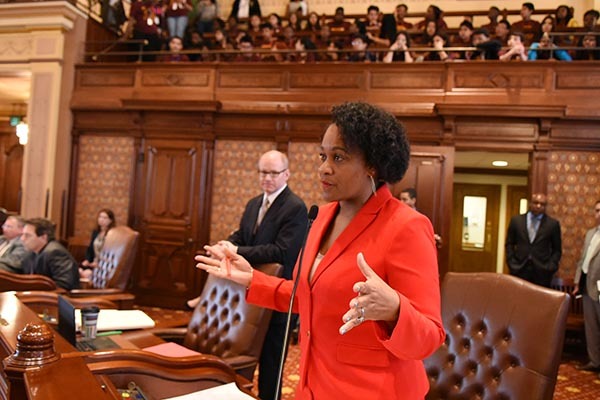 SPRINGFIELD- Continuing the conversation on much-needed education funding reform, Assistant Majority Leader Kimberly A. Lightford sponsored a measure approved by the Senate today that merges two solutions for the way the state distributes education funds. The measure, which passed 31-18-8, applies Senator Andy Manar’s Senate Bill 231 for next school year and introduces an evidence-based method beginning with the 2017-18 school year. Assistant Majority Leader Kimberly A. Lightford (D-Maywood) continues her partnership with Black Star Project to host The Kimberly A. Lightford Saturday University. The University is a free tutoring program for students in fifth to eighth grade. The program provides a 12 week curriculum per semester to aid students in approving their academics. The 2016 class celebrated the end of the 2nd semester with a pizza party, playing games, and participating in a ceremony where they were issued program certificates. This is the fourth year that the program has operated and graduated students. 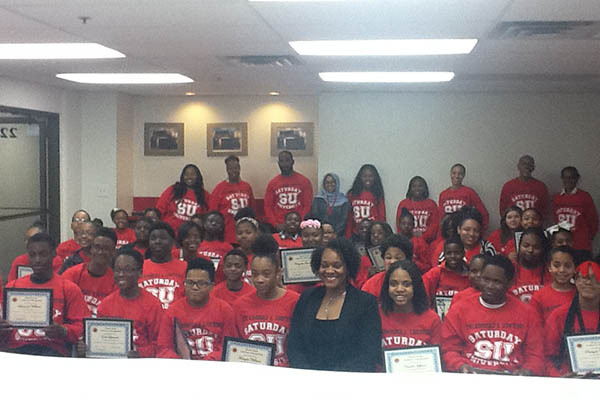 The Kimberly Lightford Saturday University class of 2016 acknowledged 50 students that completed the 2nd semester. Senator Lightford and Black Star Project are proud of the success students, teachers and parents have had through the program. Both look forward to continuing the collaboration on behalf of the program. SPRINGFIELD— Eligible voters throughout the state will now be automatically registered to vote under legislation advanced last Thursday. Senate Bill 250 would allow for the Secretary of State’s office and similar state agencies to submit eligible voters’ information to the State Board of Elections when they visit their facilities for services. Currently, 42.2 percent of eligible, voting-age black citizens in Illinois aren’t registered to vote. Overall, more than 2 million Illinoisans who are eligible to vote aren’t registered. 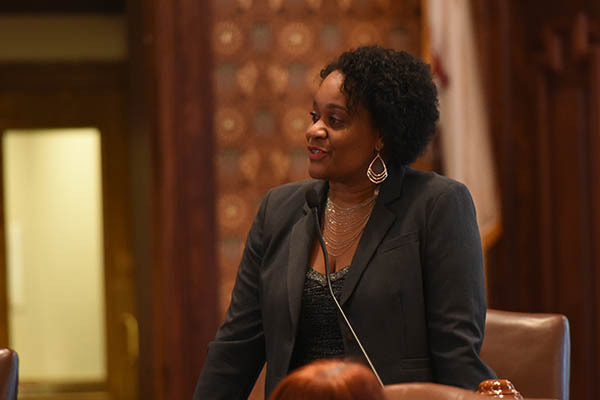 The measure now moves to the Illinois House of Representatives, where it will be debated.